Can a man ever overcome the foibles that haunt him? Meet Percy James, a man whose girl friend won’t give him what he’s always wanted, a child of his own . . . a man who flits from relationship to relationship, unable to find love. And then one day, Percy James finds himself in the same room with the one woman who carries a secret that can provide him with true happiness. Jean Bolin was born in Boston, grew up in the small town of Norfolk, Massachusetts. She has an Associates degree in Business Administration, is dedicated to studying and practicing Tai Chi and also enjoys knitting. Currently she lives in Connecticut with her husband, Mark and their two cats. This is her first book. “Betrayal, Lies and Karma” is a fictional story about three women from different parts of the country that were complete strangers until they connected through Facebook. They discovered they had something very unusual in common – the same ex-husband. They worked together to determine the truth behind the lies that he had told each of them. They found a unique way to get even with him; they became very close friends. It is about forgiveness, healing and a new meaning of “family”. 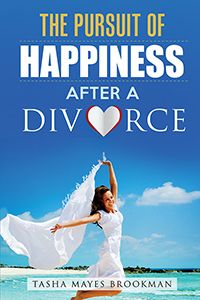 From the author: I wrote this book to teach people how to find help for their problematic marriage, separation and divorce. Please use my story as a tool to help you identify the red flags that might appear in your relationship. I want to help you identify the problems and address them with solutions. This book will help you move forward with your relationships for a positive future outcome. I will help you expose the excuses and lies and help you discover the truth regarding your relationship. You will meditate on your current relationship and learn how to become healthy and successful. Stop finding excuses to stay in a chaotic marriage and start taking the steps required to fix it. I believe that if you seek the truth it will set you free. If you ask for something and earnestly look for it, you will find your answer. I am just a regular person who will explain how I found help during the most chaotic time in my life: a time when I was hopeless and a cracked vessel. I pray that you may be able to use the tools and exercises provided to help you find peace in your life. This book is for all of those who have struggled with the same issues as me. I just want to let you know that you are not alone. I have been where you have been, and there is a light at the end of the tunnel. Glenn Proctor is the author of KICKING BOTTLES, NEWS & DUST, his first book of poetry. A retired newspaper editor, he shared in the Pulitzer Prize at the Akron Beacon Journal and taught journalism at Kent State and Washington and Lee universities. 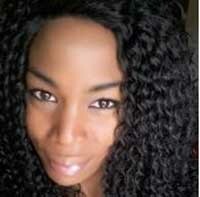 A career and small business coach, media strategist and leadership trainer, Proctor lives in North Carolina. 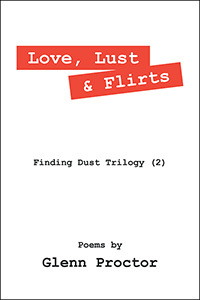 This work – second of the Finding Dust Trilogy – is the author’s perspective on the joys and pitfalls of love and relationships. These poems were written to inspire thoughts about love issues, generate necessary skepticism and find laugh out loud moments. About Luvicia Maxey: Throughout my life, I have used poetry as a means to cope with family dysfunction, heartbreaks, reunions, and many more unpleasant life situations. Throughout the years, my love for poetry has grown so strong that I find myself thinking only of ways to write more. My writing is true and honest, which allows me to become a better writer by character, not by luck. I am happily married to Chad, my husband and soul mate! We reside in Midwest City, Oklahoma. Writing for me has been a tremendous joy throughout the years. Poetry has helped me in times of fear, sadness, loss, excitement, and happiness. I LOVE to express who I am through my writing, and I hope that you enjoy the poems in this book. Todd Michael Putnam currently lives in Florida and is continuing his career as an IT Professional. His passion is for uncovering simple strategies that make life more enjoyable and then using that knowledge to help others. His other hobbies include movies, psychology, flight simulators and walking. 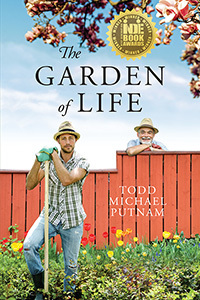 The Garden of Life is his first book. 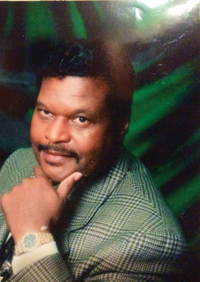 Michael D. Wilson Sr. grew up in a family of five boys, a father and mother. He was very much male orientated. When he was in his thirties, he met a young woman and his thinking concerning certain issues around one’s sexual orientation, changed. They became very good friends and shared many personal secrets. One of her secrets was that she was gay. He was shocked to hear that. You see, his vision of a lesbian was a rough and tough, tomboyish type woman, but she let him know that lesbians come in all shapes, sizes and persuasions, and they love and want to be loved like anyone else. She let this author know with authority that she was all woman, (with great emphasis placed on All). This true friend of the author’s, inspired him to write, Caught In Between. Caught in Between, is a book which shows not only the physical side of a love relationship, but gives an in-depth view, of the emotional side of true love and a love that is considered to be taboo in today’s society. This ever-growing taboo is becoming so popular, that you will be overwhelmed by who comes out of the closet, without any embarrassment or shame. In Caught in Between, you will see how a pretty boy’s pimp life, is changed with the help and love of a beautiful young lady, who was pursued by a childhood friend; who also wanted to introduce her to the kind of relationship that was forced on her, when she was an innocent child by a close relative. In this superb drama, you will see how a young man, who takes advantage of young women with his charm and good looks, is Caught in Between, when he meets his match and will learn that too much of a good thing, is not so good after all. His life does a complete turn-a-round and he becomes an intricate character in this magnificent novel. We have another character in this thrilling novel that will just chill your bones, when you read about the underhandedness and evil acts he performs. 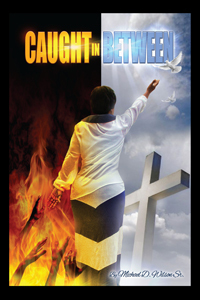 Caught in Between, is a novel that is packed full of suspense and surprises. So, if you are the kind of reader I think you are, this will be one of the most thrilling novels you have read and hopefully fall in love with.